This very simple recipe with less ingredients. 1. Mix Suji, Yogurt, Milk, Sugar, Desi Ghee or Vegetable oil. If you have time keep mixture aside for about 1-2 hours. 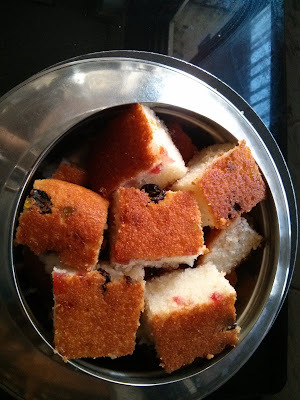 Consistency should be little thicker than Idli batter. 2. After 2 hours add baking powder & baking soda . 3. Add tuty fruity & rasins. 4. Add favour as you like. 5. Grease the nonstick vessel with ghee/unsalted butter. Pour the mixture into the vessel and spread it evenly. 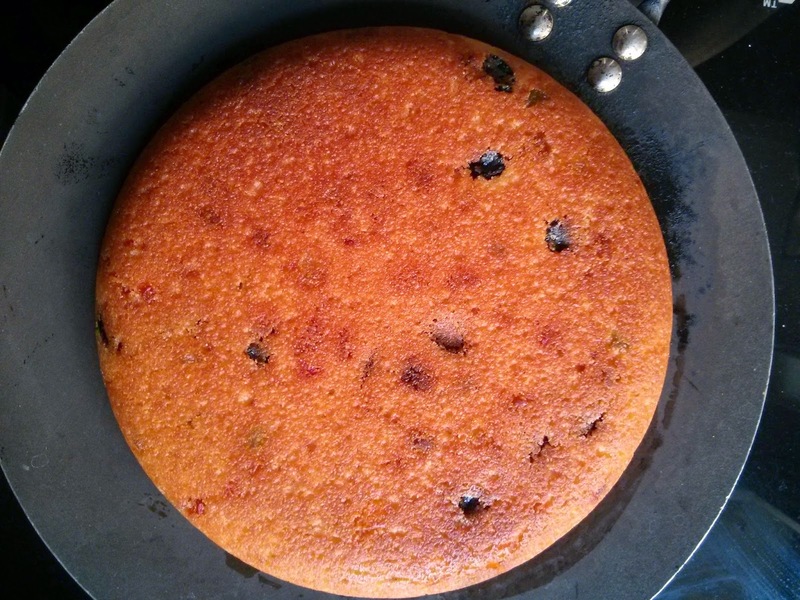 Add a few drops of Ghee on top so the cake won't stick to the Tava when you flip it. 9. Cut into pieces as you like & enjoy !!!. please advise how to make in oven. How to make it in oven?